the owner of Elysion and our fearless leader! 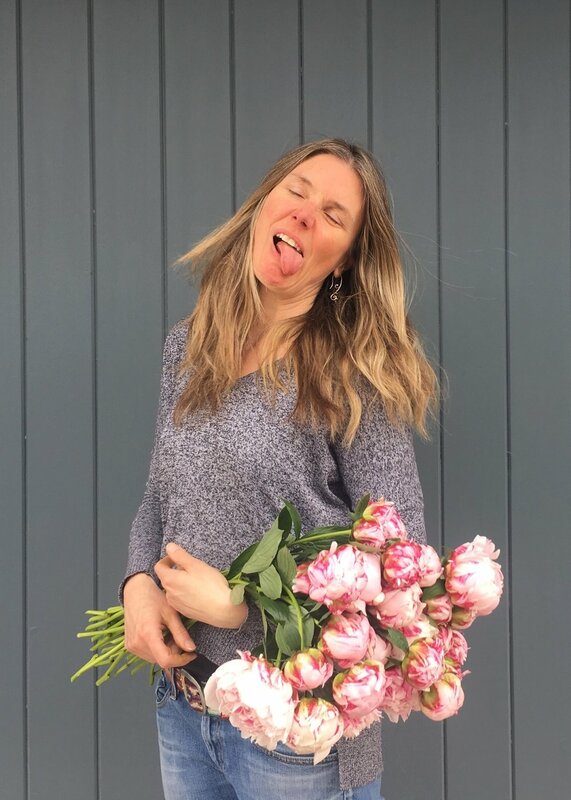 In her pursuit of feeling fabulous at forty, flowers certainly help! As a child, Colleen spent a lot of time visiting her grandparents in this sweet mountain town, and so finally made Jasper her home 12 years ago. While Colleen always dreamed of having her own shop, she never imagined the opportunity would actually present itself. 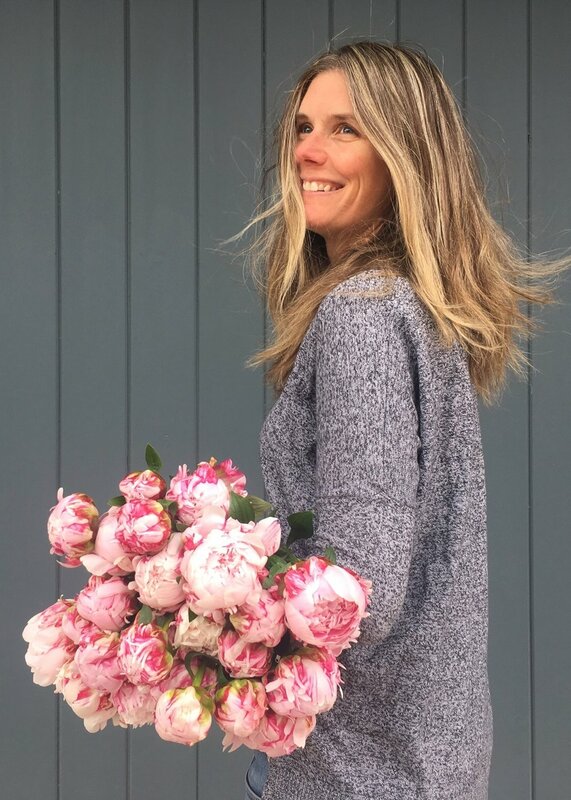 Today, Colleen is enjoying her 4th year as owner of Elysion Florals, which has been Jasper’s only flower shop for over 25 years. When not in the shop, you can find Colleen frolicking through fields of wildflowers, chasing butterflies with her best friend, Herbie the Love Pup, dreaming of the day she will be growing her very own flowers for the shop. Melissa is very much behind the scenes - so much so, that you won't find her in the shop at all anymore (insert sad face). One of the newest among the team, she joined in January 2017 after frequenting the shop so often that Colleen eventually gave in and hired her. Melissa now works remotely from Whistler, BC, continuing to take care of social media and designing our new website (yay! ), among other things. When she's not drooling over images of flowers, Melissa spends much of her time looking for the next adventure, whether it's a quick road trip or months overseas. Part time painter, and sometimes calligrapher, you can otherwise find Melissa hoarding plants in her apartment, sending snail mail, or basking in the sun with a good book and a G&T in hand. Nicole has been working at Elysion for 4 years. Though she's widely known as "the plant killer", Nicole loves weddings and shows her talents working with fresh flowers! When away from the shop you can typically find her hiking or soaking up some rays at the beach. Going into her 4th year working at the shop, Maggie is a recent graduate and absolutely lovvvvvvves flowers. Although she took time off to travel during her gap year, she is back in action for the summer and ready to work! Maggie loves art, so working with flowers has given her a great creative outlet. When she isn't in the shop making bouquets, you can find Maggie at home drawing and reading. Her favourite part about working at Elysion is designing arrangements, and helping people fulfill their flower dreams. Colleen's eldest daughter, Geoelle, has a true love for the outdoors. Passionate about dogs and plants (in that order! ), some of Geo's favourite things include sundresses, chips & salsa, and travelling. She also likes getting her hands dirty in the garden! Youngest daughter of Colleen, she's a bright, breezy, summery girl. Like the rest of the family, Eva has a love of flowers, dancing, and chilling in the sunshine. A few of her favourite flowers are roses, oriental lilies, and most fittingly, sunflowers. Aven has been thriving at Elysion for 3 years now! Over that time, her love for plants and flowers has flourished while she enjoys learning about floral design. When Aven isn't meticulously watering and caring for plants at the shop, she's somewhere outdoors - swimming, kayaking down the river, or reading. Sylvie considers herself the wisest, but in reality is just the oldest of the bunch (ha! her words, not ours!) Greatly enjoying her pre-retirement gig; she specializes in plant love, friendly conversation and always a smile when you walk through the door! Outside of the shop, Sylvie loves spending time with her family, travelling, and exploring on her paddle board.